Rebel Ventures’ products are created by Philly students for Philly students. Grounded in core values of teamwork, youth power, and radical creativity, they have designed, produced, and marketed healthy and delicious products to the School District of Philadelphia. Rebel Ventures is supported by Penn’s Netter Center for Community Partnerships. 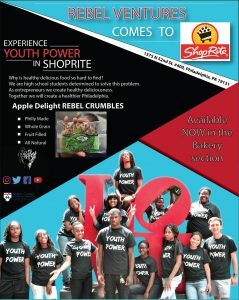 They have partnered with many local organizations and the Division of Food Service to achieve the success of offering Rebel Crumbles in the community in early 2017. Rebel Ventures would like to support teachers and students working together to create a healthier environment for their school. Through the Healthy Deliciousness Fund, Rebel Ventures will provide up to $100 to any Philadelphia classroom that has a project in mind. Applications are accepted on a rolling basis. Rebel Ventures will fund up to 20 classroom projects in Spring 19. Please complete the questionnaire by clicking here. 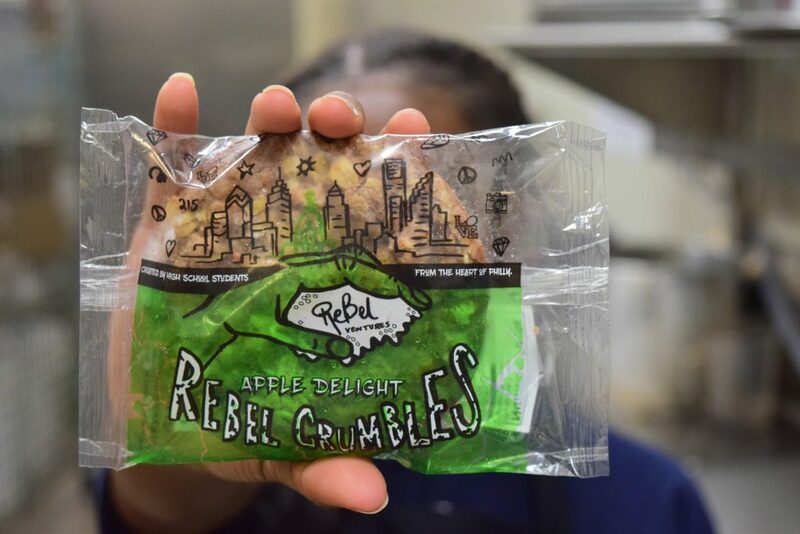 Follow these Philly high school students turned entrepreneurs through the development and creation of the Rebel Crumble in their test kitchen to mass production and packaging of this healthy breakfast item! 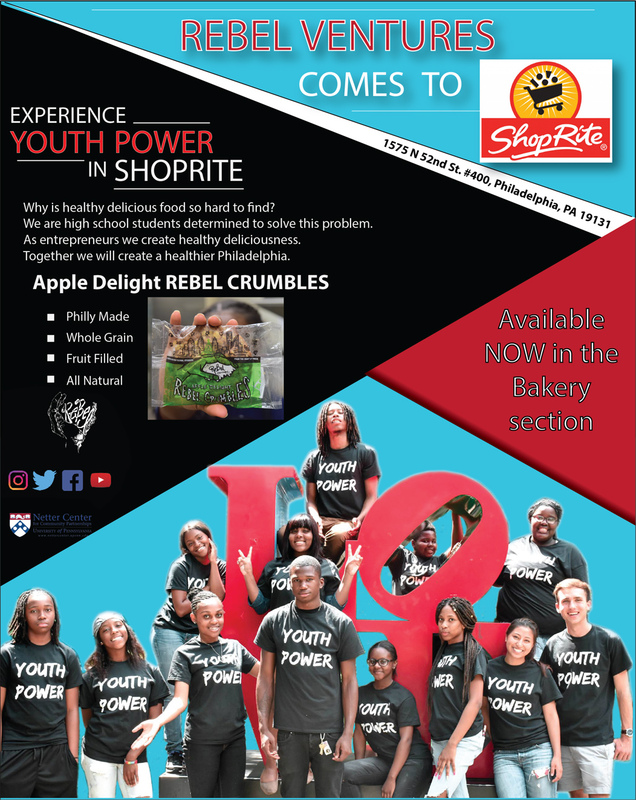 Rebel Crumble’s new Apple Delight snack cake is filled with real, healthy ingredients like apples, whole grains, brown sugar and spices. This new Rebel Ventures creation is coming soon to cafeterias across Philadelphia! @PHLschools Division of Food Services staff wearing their @rebel_ventures swag, which were designed by the #rebelventures crew, in honor of serving more than 1 million rebel crumbles in our school breakfast program!